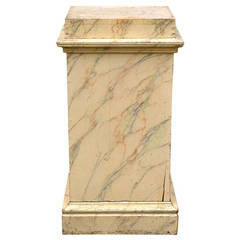 Large Gustavian pedestal with original faux marbled paint and patina. Antique Folk Art Horse form tricycle. 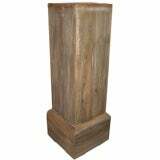 Pair of antique classical fluted wood column pedestals. 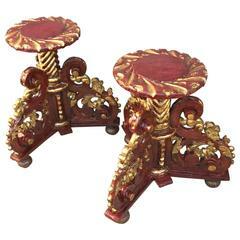 Price is per pedestal. 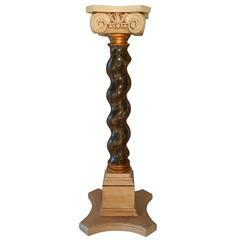 A beautiful breccia rouge royale marble and ormolu-mounted ionic pedestal column. Replaced wooden plinth. 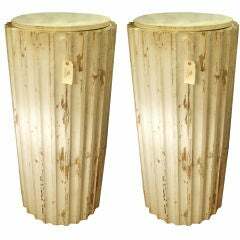 Pair of tall rustic wooden pedestals.